Deliver intelligent field and customer service by moving from a costly break-fix model to a proactive and predictive service model. Keep up with manufacturing and servitization trends by connecting your devices and using Internet of Things (IoT) data to reduce customer downtime—all while providing insights technicians need to offer customers new products and services. 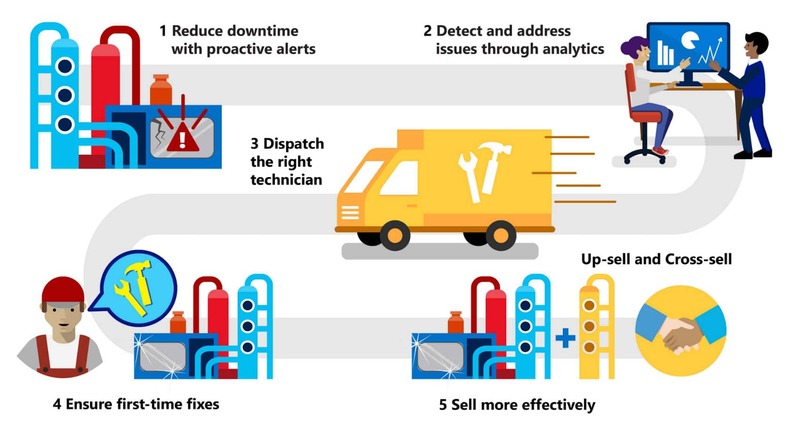 The Microsoft Connected Field Service scenario is a portfolio of field service solutions that includes Azure IoT Remote Monitoring, Azure IoT Predictive Maintenance, Dynamics 365 for Field Service, and Dynamics 365 for Sales. With Microsoft Connected Field Service manufacturers can remotely connect and monitor their mission critical devices, service assets effectively with optimized scheduling and better informed technicians, and sell more to customers with intelligent sales insights. Download our Dynamics 365 for Field Service Play Card today! Gain visibility into asset performance by connecting, remotely monitoring, and creating alerts to enable predictive maintenance on mission critical devices. Optimize the scheduling of service calls and equip technicians with information, augmented reality tools, and remote guidance to make the right repairs the first time out. Provide technicians with intelligent sales insights and information to offer new products and services that deliver customers’ their desired results. The Connected Field Service solution allows manufacturers to know about problems before the customer does, and solve them at the smallest cost to the organization. This solution helps manufacturers implement a servitization model to field service. In a simple scenario, when an abnormality is detected, a sensor sends an alert off to an Azure IoT Hub. This triggers a configurable workflow process within Dynamics 365 for Field Service. 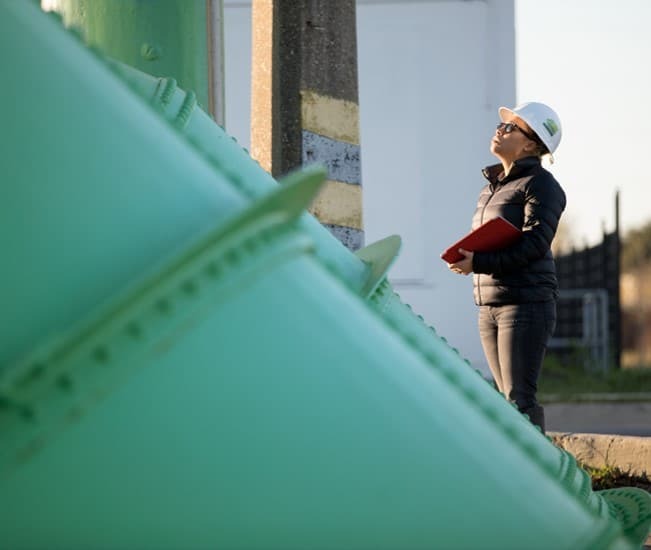 A field technician is dispatched and arrives on-site to resolve the problem, ensuring a first-time fix. This also creates an opportunity to take advantage of the close customer relationship and sell more products and services. A proactive servitization approach improves customer satisfaction. It also ensures resource productivity by catching issues and troubleshooting them remotely—before they significantly impact your business—and helps maintain your technicians as profitable resources. Ready to see how Connected Field Service by Microsoft Dynamics can improve support to your customers?